When PI Quint Mitchell volunteered to help with an archaeological survey in St. Augustine, he didn't count on digging up a murder victim. In the nation's oldest city, Mitchell discovers links to ancient sins, comes face to face with his own past, and unleashes powerful forces that will do anything to keep their secrets--even if it means taking his life. In this award-winning debut mystery, author Parker Francis taps into an undercurrent of violence hidden behind the sleepy facade of the historic town. When Mitchell's friend, the city archaeologist, is charged with a brutal murder, he must find the true killer while fighting inner demons and the corrosive residue of racial violence dating back to the Civil Rights Movement. As he learns, St. Augustine was birthed in blood--Matanzas means "place of slaughter" in Spanish--and violence is never far from the surface. The body of a city official is discovered during a dig in St. Augustine, setting off a chain of recrimination and violence that captures the essence of the city's present and dark past, and private investigator Quint Mitchell (a Travis McGee for the 21st century) gets entangled in the power plays for control of the city's future. I had the pleasure of reading this fine and gripping novel, and the audiobook does it justice and then some. Mike Dennis delivers a compelling performance in a gritty voice reminiscent of Orson Welles. Highly recommended listening here, folks. This was a really good book.The story was tight,interesting and well thought out.The main character,a P.I. volunteering at an archeological site digs up a fresh corpse.This story is full of mystery and suspense w/just enough romance tossed in. MIke Dennis was a wonderful narrator.His straight forward,business only rendition of Quint was great. What did you love best about Matanzas Bay? I liked the way the author was able to give some of Saint Augustine's history along with the story. Having one of the main characters being an archaeologist really helped with the telling of this story. Yes, I was very interested in seeing how the story played out. There were some plot twists that I didn't see coming (and one that I kind of did) and that made for an interesting story. Mr. Francis wrote a great mystery. Mr. Dennis has a great way of giving each character their own voice. That along with great pacing made this for a very enjoyable listen. Being a big mystery reader I am always on the look out for new characters and authors and I have found both with this classic murder mystery set in present day St. Augustine Florida. The characters are real and believable, the story garbs you and keeps you on the interested in the next step, really enjoyed the narration by Mike Dennis. 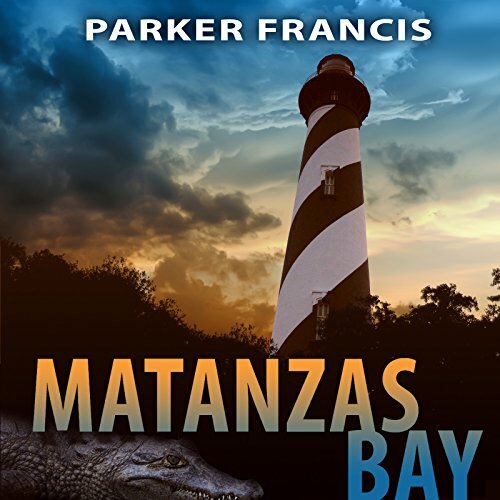 I thoroughly recommend Matanzas Bay to anyone who likes mysteries. As a former resident of St.johns County I enjoyed this well crafted story in a familiar setting .Pretty darn good. I'm not really big on mysteries, but this one drew me in and kept my attention. Very well drawn characters. Narration was splendid and character separation was great. Quint is a very interesting person and he does not care about the race issues that are surrounding the case that he finds himself in. He gets that there are people out there that are living 50 years in the past, but he is not one of them. Sadly, the town where he is currently doing his investigation, acts like they are not 50 years behind but smack in the middle ages! To add to that Quint is (sort of) dating a black, strong, and independent woman. This sort of thing would not bother anyone else but it is something that bothers those that he has to work with on this case. Maybe I watch too many cop shows, but the one thing I do not get about Quint is that he seems very easily pushed around. I am so used to a P.I. or the like being able to take charge of a situation. More often than not Quint finds himself at odds with people he is up against and gets hurt because of it. I want to yell at him to take some defense class lessons or something! Anything to help him defend himself more. He does use his brains since he is lacking in the brawn area, so that is good, but even this does not keep him out of trouble. He also makes some choices without using his brain which really ticked me off! The narration was done very well and I was able to really get into listening to narrator. Mike Dennis makes it sound easy and his voice makes you want to go along with the flow. Even in the more intense sense his voice is almost tranquil, even though there was an underlying intensity. The voices were easy to distinguish from one another but the main character’s voice was my favorite. Being a first person this is the most used throughout. First person also really brought out the mystery of the story but also where Quint was within the story. He is close to the people involved and the storytelling and narration helps that come through. I may not have agreed with everything Quint said or did, he tried to be a hero without all the training to back him up. Definitely would like him to go get some defense classes before he gets beat up again, and I would love to talk to him about his love life, but other than that, he is a very interesting character. The audio was also well done. Not one hiccup or misplaced timing that I could find! The mystery was good and I did not figure it out by the end, however, this was missing something for me so although I did enjoy it, I was left wanting. Overall it was done very well and I would read another from Parker Francis. This is one of those rainy Sunday reads when you don’t feel like doing anything and have the time to lay back and listen. What would have made Matanzas Bay better? To many side stories that had no solid connection to the story. The sexual attraction episodes really detracted from the storyline. What was most disappointing about Parker Francis’s story? The author could not stay on point. He kept drifting off.This in fact lost interest in the story. I actually couldn't wait for the darn thing to end. The narration was very good. It is difficult for a man to do female voices. Mr. Dennis did an acceptable job. If you could play editor, what scene or scenes would you have cut from Matanzas Bay? The extraneous tale of his brothers murder and the un necessary sexual detail. It did not contribute to the story line at all. Quint runs his one man P.I. Agency in St. Augustine, his working day assignments are more the mundane than exciting, yet in his private life, Quint is battling the torment of tragic Personal memories. He looks upon his volunteer role as an assistant to Dr. Jeffrey Poe, St. Augustines' archeologist, as a relief from both his work and his memories. On a dig, he uncovers a casket containing the murdered remains of Vice Mayor Bill Marrano, his brother, Buck, is one of the detectives who arrive on the scene. All evidence of guilt point to Dr. Poe who is arrested and charged with his murder. Quint, convinced of his friends' innocence, embarks on a mission to prove it. There plenty of twists and turns here, in fact the story becomes quite convoluted and (for me) a little difficult to follow, I got a little lost with all the characters and their many secrets. It's a difficult listen when multitasking, a multi layered mystery such as this is probably not the best choice for my style of listening. The author included a goodly amount of historical fact regarding St. Augustine and also of Civil Rights issues, some of which is quite moving. Despite getting a bit lost at times, I found this quite an exciting tale, the tension is kept high and the listener is never quite sure if he is on the right trail. Just when I thought I'd cracked it something else came along to add another layer of intrigue. All due respect to the author for bringing all the threads of this well written story together for an exciting finish. Mike Dennis is new to me, I enjoyed the narration as his voice suits the role of a P.I., rough, tough and worldly! I couldn't fault his characterisations (and he had plenty to deal with) and his pace and timing are, I thought, excellent. There is a certain part of the book in which a man relates a very moving account of an incident which occurred in his younger days, Mike Dennis relays this beautifully, yet he doesn't overact. I thought he treated a particularly moving part of the story, where someone relates their suffering at the hands of others, quite beautifully. Good sound quality and production made for a comfortable listening experience, I'd happily listen to more of Mike Dennis' work. I received this audiobook free in return for this my honest opinion.